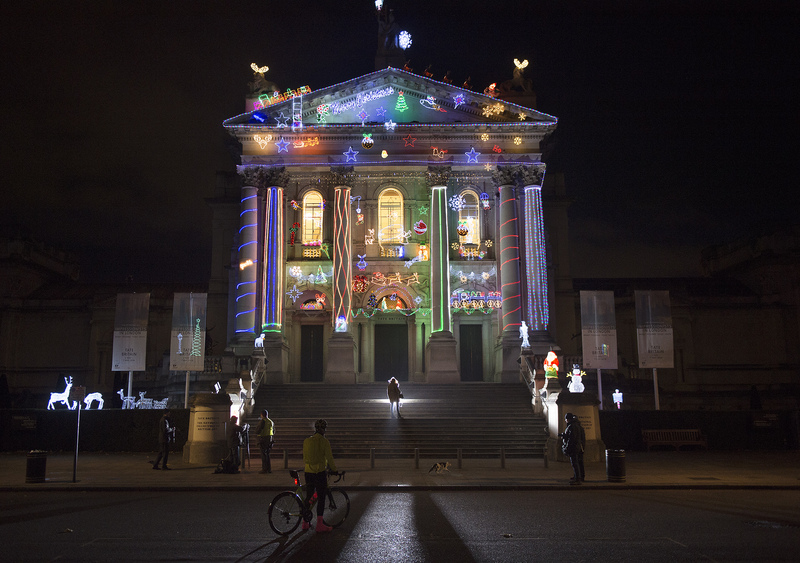 Tate Britain Christmas commission You are invited to photograph the new Tate Britain Christmas commission by Alan Kane, Home for Christmas.Alan Kane has devised this exciting new work for Tate Britain’s iconic façade to mark the Christmas season. Home for Christmas will transform the neo-classical exterior of the gallery into a glowing display of off-the shelf decorations. A show-stopping arrangement of LED Santas, reindeer, snowmen and Christmas trees, along with ‘Merry Christmas’ and ‘Santa Stop Here’ signs will adorn the Victorian porticoed entrance.